We are happy to announce our most recent grants to organizations working across North Carolina. The Fletcher Foundation Board of Directors voted to approve seven grants, including multi-year grants, totaling $890,000. We’re excited to deepen our existing partnerships as well as begin new partnerships with organizations working to improve the well-being of communities in our state. This group of partners reflects our commitment to education, social justice, and supporting low-income families in North Carolina. These organizations are working collaboratively to provide services to children and families and to educate and engage communities, and we are proud to support their efforts. To learn more about our partners, explore their websites below. 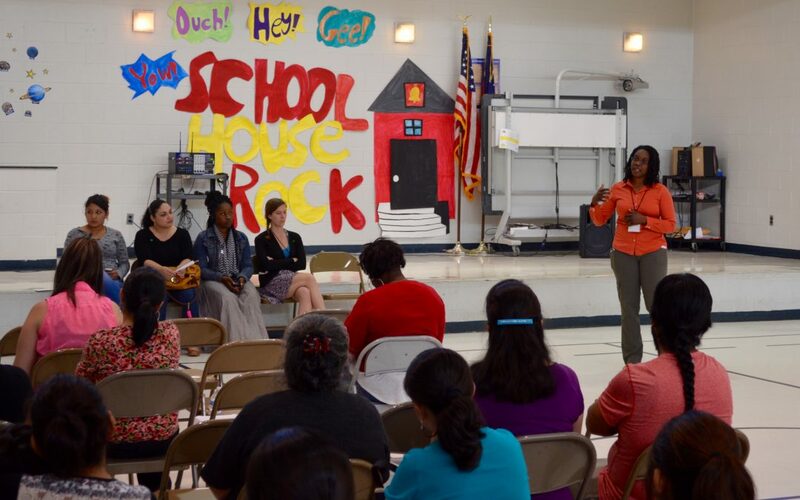 Top photo: East Durham Children’s Initiative Bilingual Parent Advocate, LaDonna Brown, leading a parent workshop at Eastway Elementary.